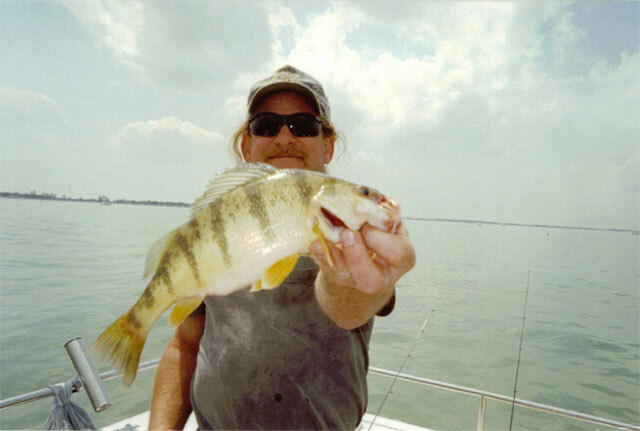 Yellow perch are considered by many to be the best eating fish in Lake Erie. They are schooled up by early August. 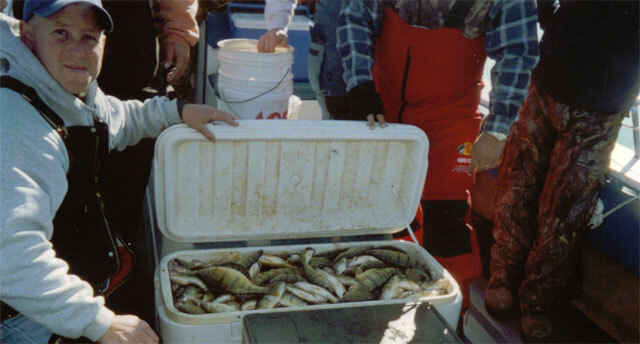 We catch perch until we pull the boats out in early November. this is a great time to get the kids hooked on fishing. We anchor in deep water and fish the bottom. We are rigged with two hooked spreaders tippled with shiners. 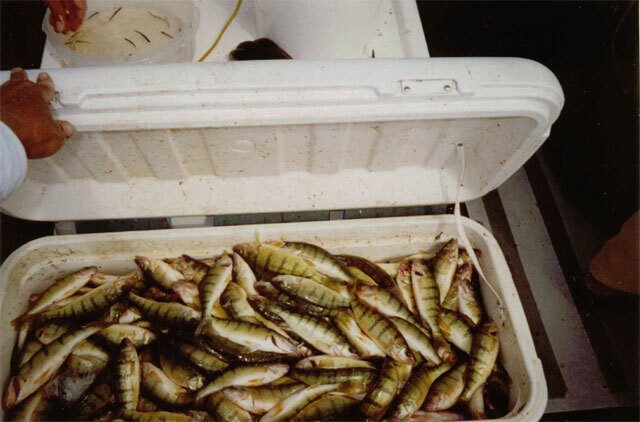 It is common to catch two perch at a time. Ohio limit is 30 per person per day. We usually can limit in a couple hours.